In retail, time is money. When a store is slated to open, you need construction completed on time and within budget, or marketing plans and inventory control will crumble and wreak havoc on your profit margins. At Hobgood Construction Group, we understand the time sensitive nature of retail construction and offer a variety of comprehensive or a la carte services that can be customized to your project needs. Space planning. It can be difficult to look at a plan on paper and see the little details of a store. At Hobgood, experience has taught us the importance of space planning for retail establishments. As a value added service, we can guide you through plans and the optimized placement of checkouts, racks, storage, dressing rooms and other key components to maximize the functionality of your store. Project management. 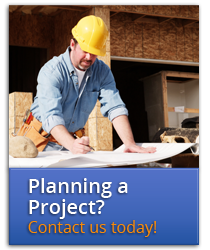 If plans are already complete for your project, Hobgood offers project management and construction services. We bid on your project based on set plans and specifications and then manage the project through completion—allowing you to leverage our experience and stellar track record of on-time construction. Regardless of your needs, our management is involved in every project and consistently goes the extra mile to ensure a good experience for our clients. Check out our recent retail projects now and contact us to discuss your needs.